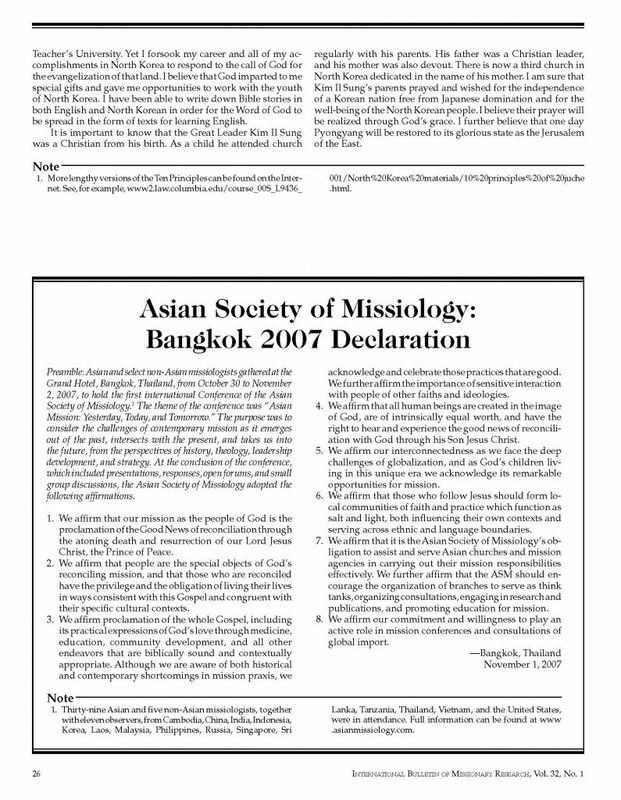 Preamble: Asian and select non-Asian missiologists gathered at the Grand Hotel, Bangkok, Thailand, from October 30 to November 2, 2007, to hold the first international Conference of the Asian Society of Missiology. The theme of the conference was “Asian Mission: Yesterday, Today, and Tomorrow.” The purpose was to consider the challenges of contemporary mission as it emerges out of the past, intersects with the present, and takes us into the future, from the perspectives of history, theology, leadership development, and strategy. At the conclusion of the conference, which included presentations, responses, open forums, and small group discussions, the Asian Society of Missiology adopted the following affirmations. We affirm that our mission as the people of God is the proclamation of the Good News of reconciliation through the atoning death and resurrection of our Lord Jesus Christ, the Prince of Peace. We affirm that people are the special objects of God’s reconciling mission, and that those who are reconciled have the privilege and the obligation of living their lives in ways consistent with this Gospel and congruent with their specific cultural contexts. We affirm that all human beings are created in the image of God, are of intrinsically equal worth, and have the right to hear and experience the good news of reconciliation with God through his Son Jesus Christ. We affirm our interconnectedness as we face the deep challenges of globalization, and as God’s children living in this unique era we acknowledge its remarkable opportunities for mission. We affirm that those who follow Jesus should form local communities of faith and practice which function as salt and light, both influencing their own contexts and serving across ethnic and language boundaries. 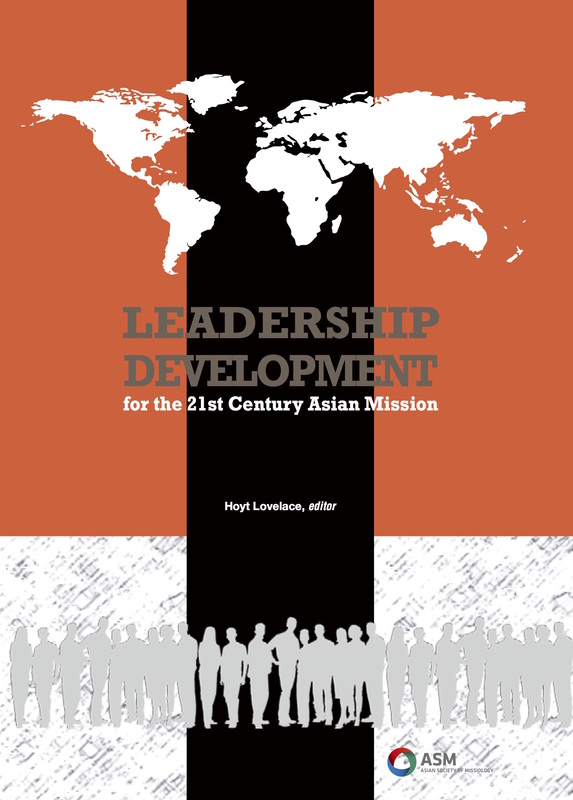 We affirm that it is the Asian Society of Missiology’s obligation to assist and serve Asian churches and mission agencies in carrying out their mission responsibilities effectively. We further affirm that the ASM should encourage the organization of branches to serve as think tanks, organizing consultations, engaging in research and publications, and promoting education for mission. We affirm our commitment and willingness to play an active role in mission conferences and consultations of global import. Lanka, Tanzania, Thailand, Vietnam, and the United States, were in attendance. 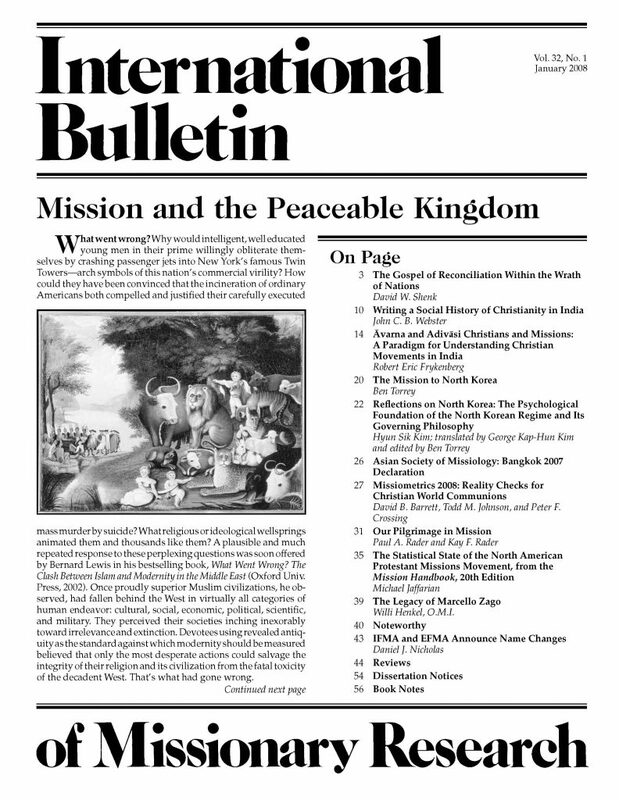 Full information can be found at www.asianmissiology.org.